Deep Dish Brownies recipe by Sunshine at DesiRecipes.com. In a large bowl, blend melted butter, sugar and vanilla. Combine the flour, cocoa, baking powder and salt . Gradually blend into the egg mixture. Bake in preheated oven for 40 to 45 minutes, or until brownies begin to pull away from the sides of the pan. 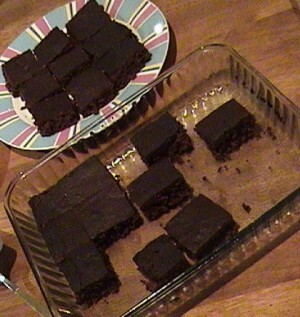 Let brownies cool, then cut into squares. ..its so very deliciuos ..we make this deep dish brownish in our school..in our asian cuisine.. its so great..